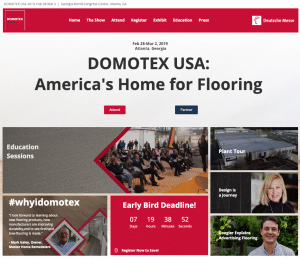 As the only trade show in North America dedicated exclusively to the floor covering industry, DOMOTEX USA is the perfect opportunity for you to promote your business. The DOMOTEX USA Marketing Tool Kit will help you stand out and catch the interest of top decision makers in the flooring industry. There are a limited number of spots, so contact us today! Provide your customers & prospects with a complimentary registration code through your Map Your Show dashboard for a free exhibit hall pass. 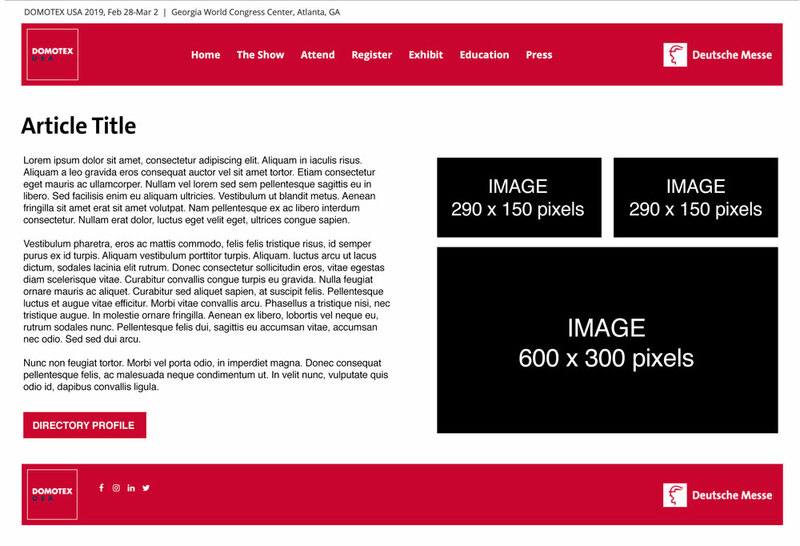 Use our personalized web banners, emails and landing pages to help promote your booth. Access the invitation materials/links, or send out invitations through your Map Your Show dashboard. Enticing post cards with your promo code and booth number will be mailed out and HFUSA will pay for the cost of printing and mailing! Get eyes on your company with DOMOTEX USA's comprehensive website coverage. We will share information regarding products, special promotions, education or events you plan on hosting either at your booth or in conjunction with DOMOTEX USA. of the largest flooring tradeshow in North America! get featured on our Exhibitor Highlights page. Let attendees know what you'll be showcasing at your booth. Submit product descriptions/stories and images to be included in the Highlighted Exhibitors section of the DOMOTEX USA newsletter. On top of that, your brand will be promoted on all of DOMOTEX USA's social media accounts including Facebook, Instagram, LinkedIn and Twitter. These are just a few of the Sponsorship and Advertising Opportunities you'll receive with the DOMOTEX USA Marketing Tool Kit. We offer a wide variety of additional services to further promote your products and services.